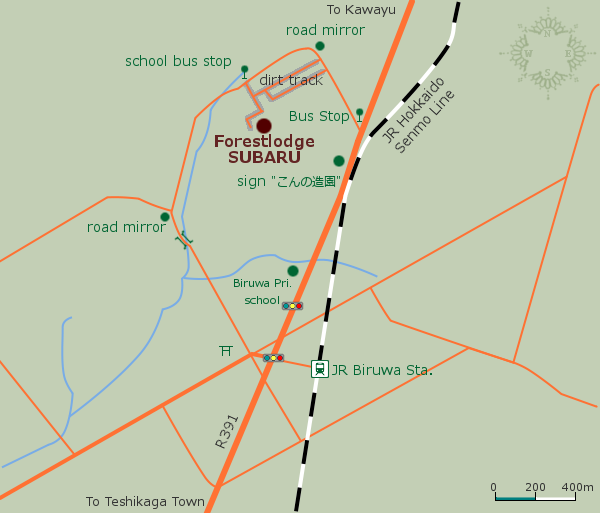 Show the location of Forestlodge SUBARU in bigger map. Please note: Some have reported that certain car navigation system will show wrong location with our address. 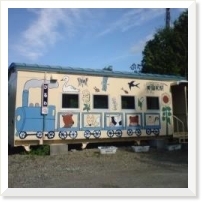 The closest train station is BIRUWA on JR Hokkaido Senmo Line. It takes about 20 minutes on foot, but we would be happy to pick you up from the station, please inform us upon booking. For taking taxi in Teshikaga, you can contact Mashu-Hire (Phone: (0)15 482 3939). An old railway carriage is reused as the station hosue. Children from local primary school had painted on its wall.